Nothing to do, just bring your suitcases this is a move in condition home. This Immaculate, 2 bedroomed home with additional bedroom/office space with bathroom on third floor, comes with a separate 1 bedroom Gite. 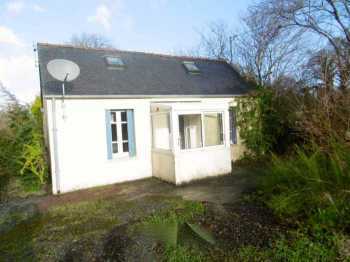 AHIB-1-PO-042 Plougonver 22810 South facing cottage close to village centre and just 15 minutes from Callac. 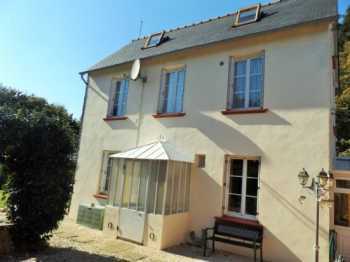 Just a short stroll the village centre and boulangerie, this cottage does requires some updating but would make an idea holiday retreat/base to explore Brittany. South facing and with a secluded garden and deceptively spacious.